The 2016 summer Connectivity conference is in the books! 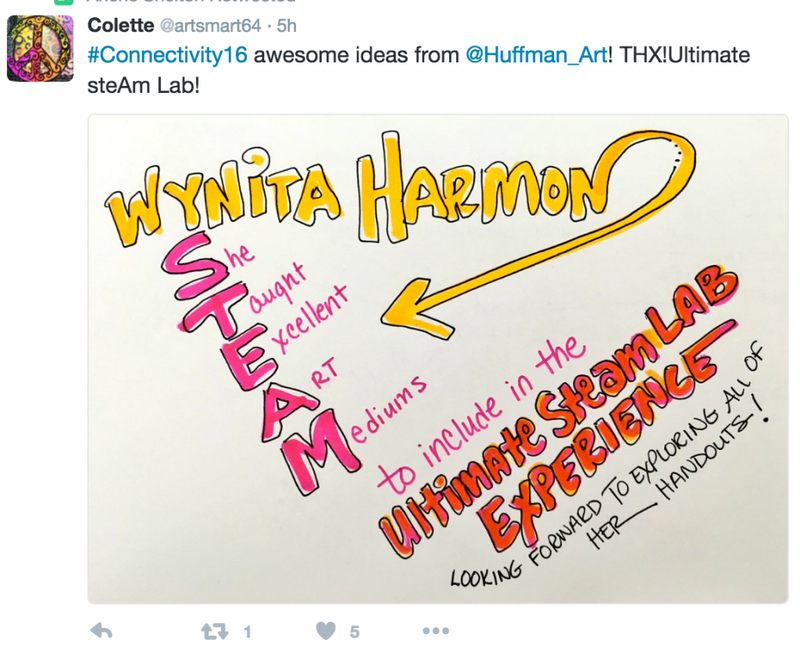 It was a truly amazing day of learning in areas of arts integration, STEAM education, and MakerSpaces, attended by an incredible community of educators who were actively engaging in conversation, sharing ideas, presenting solutions, and supporting one another, and facilitated by a collection of groundbreaking presenters! Here are some of the common threads and big takeaways from this summer’s live day event! 1. FIND INSPIRATION. Our live 2016 summer Connectivity Conference event was full of inspiration: inspiration provided by our all of our incredible presenters, particularly our three keynote speakers. 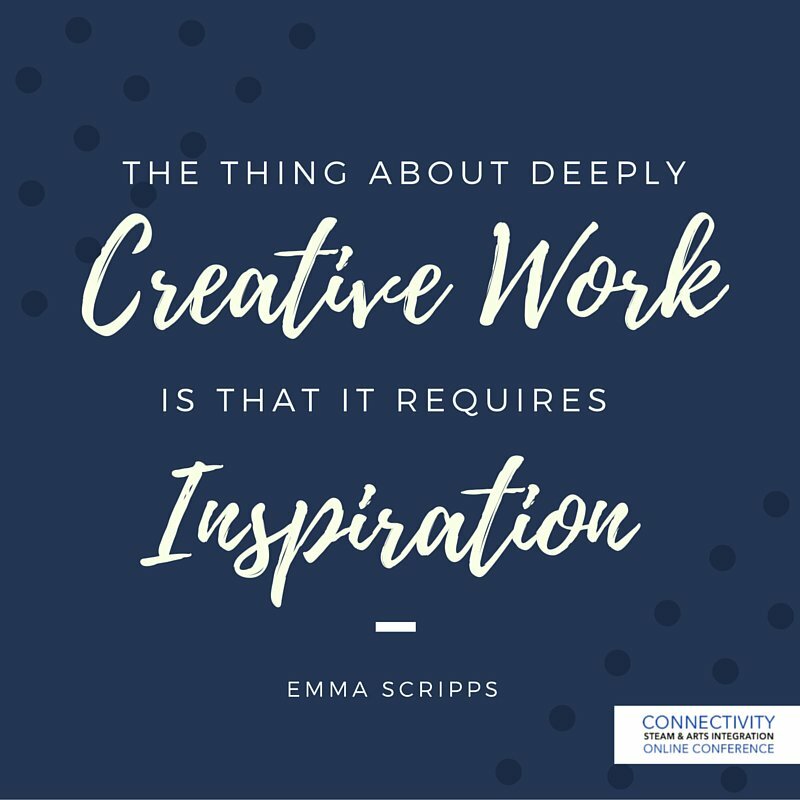 Emma Scripps, Program Designer for The Teacher’s Guild at IDEO, invited us to actively seek inspiration, to collect the inspirational, and to plan for the extraordinary to fuel our creative work as teachers and artists. Elle Luna, author of The Crossroads of Should and Must, provided a highly inspirational keynote on how we find our true calling, the thing we “must” do, and how we balance that with the pressures of what we “should” do, referencing how artists and musicians like Pablo Picasso and Phillip Glass found that balance. 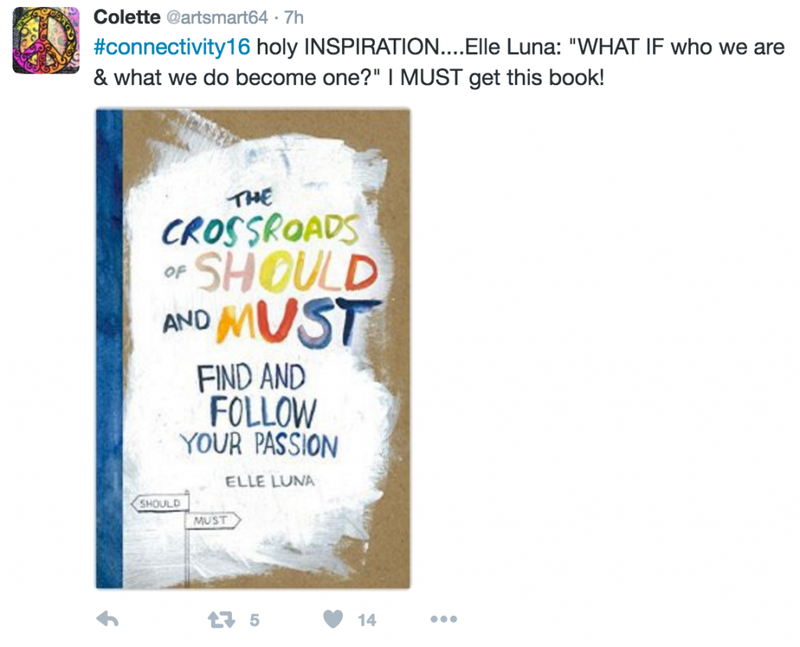 Many 2016 summer Connectivity Conference attendees were so inspired they were scrambling to get their hands on Elle’s book! 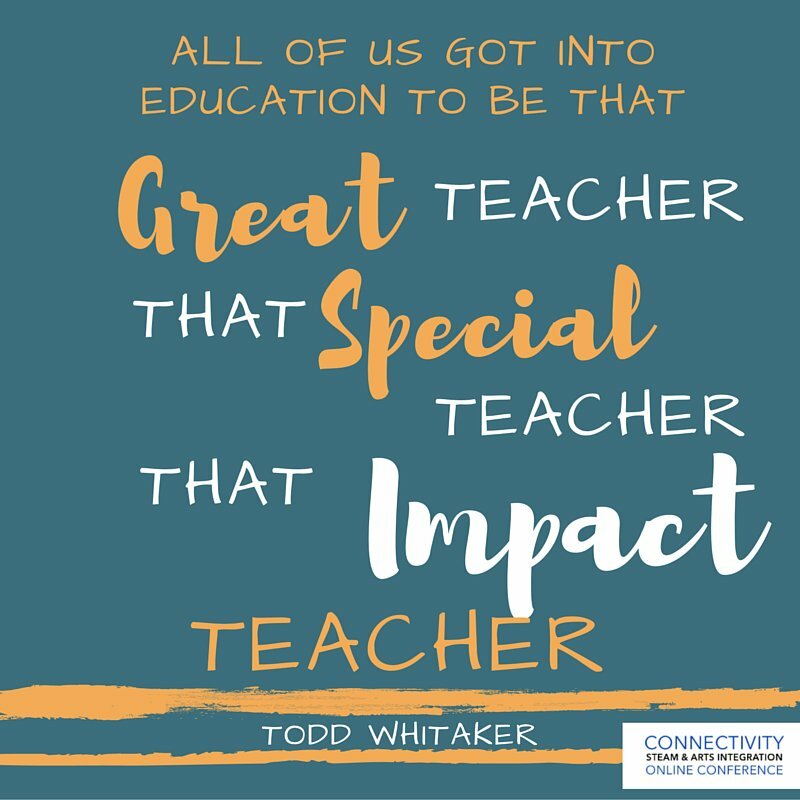 Todd Whitaker, author of What Great Teachers Do Differently, offered a keynote by the same title, bringing us back to the basics of great teaching, from our intention, to how we interact with students, to how we interact with our peers. It was a truly revitalizing address! 2. THINK OUTSIDE THE BOX. We here at EdCloset like to think that we’ve thought outside the box in terms of bringing you quality professional development in the comfort of you own home or school- PD on your terms. It’s always such a thrill for us to see how you, our valued participants, are engaging in this event. For the first time ever, we added a breakout “make-and-take” component during the lunch hour of the live day event. During this time, participants could register for one of four fantastic breakout sessions with our incredible partners and engage in a “make-and-take” session, or could use this time to recharge and take a “bio” break to rehydrate, eat lunch, and recharge for the afternoon sessions. 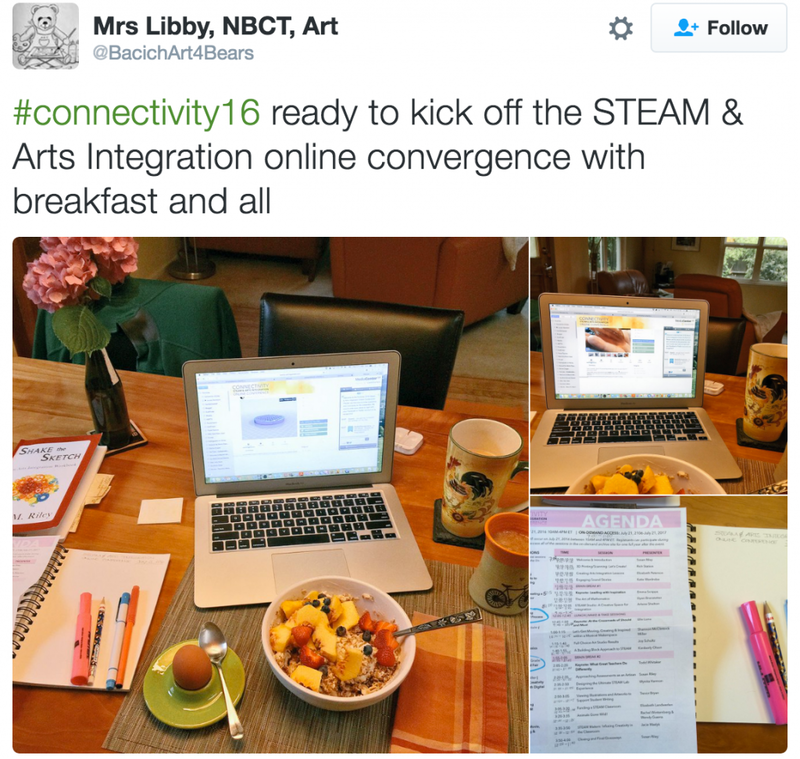 We are thrilled about this new component of our 2016 summer Connectivity Conference platform! In addition to the 17 live sessions offered, there are an additional 11 breakout sessions available in the on-demand platform, giving registrants an opportunity to access what really calls to them and think creatively about how to apply these fantastic ideas in their own classrooms. Several presenters also resounded the call to think creatively, to color outside the lines, to experiment with new ideas as we think about how to best benefit our students in the 21st-century classroom. 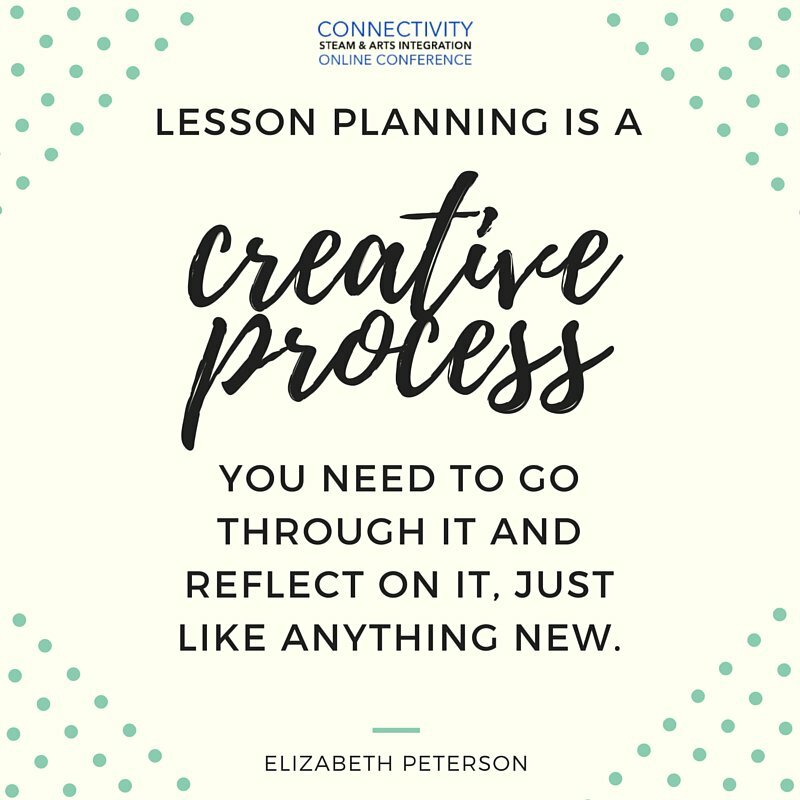 Elizabeth Peterson spoke about the process of creating arts-integrated lessons and the need for reflection and revision as teachers within this process, a creative process we ask our students to engage in every day. 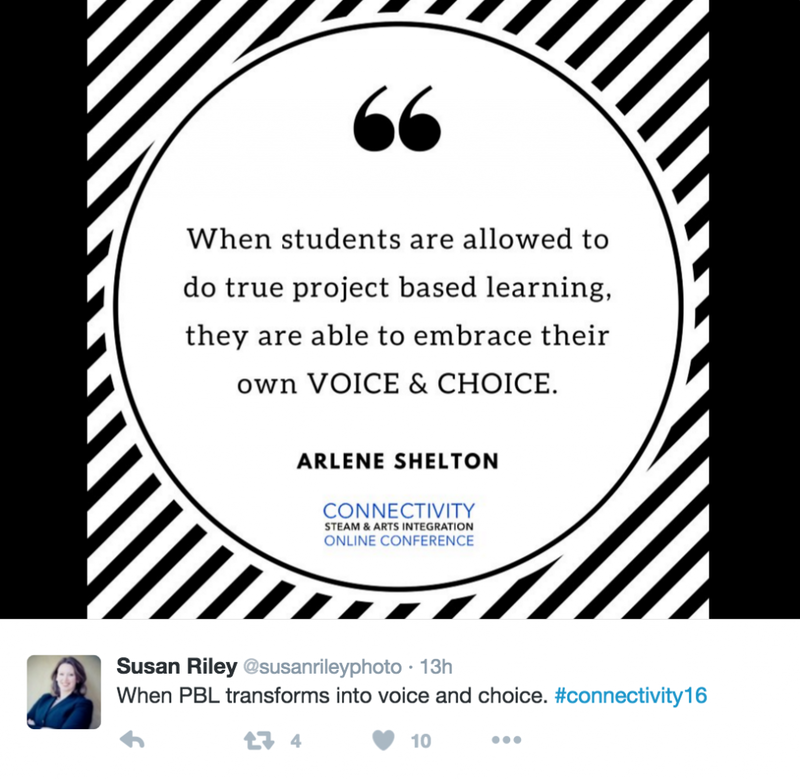 We heard the call from the likes of Arlene Shelton, Dyan Branstetter, and Joy Schultz to engage students by allowing them to represent their own voice and choice within the classroom in the forms of project-based learning and choice-based art studios. We explored creative problem-solving opportunities through brain break activities and hands-on experiences. 3. TAKE ACTION! 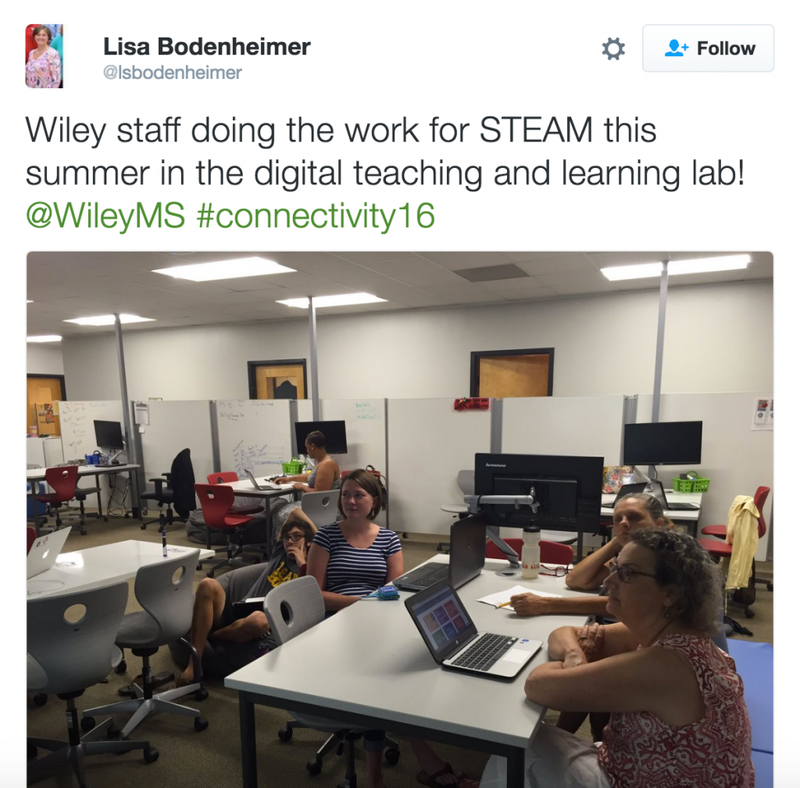 This 2016 summer Connectivity Conference had some really incredible sessions on MakerSpaces, STEAM Studios, and Choice-Based Studios, and we heeded the call, not only for the sake of our students, but for ourselves as teachers. Not only did we see presentations from educators who are in the trenches, doing the hard work of bringing innovation to education for our 21st century students. we saw what innovation and maker education is all about for the sake of our own practice as well. We heard the message to look for our dreams in real life. We learned about how to acquire funding to make our dreams of Maker and STEAM studios come true. 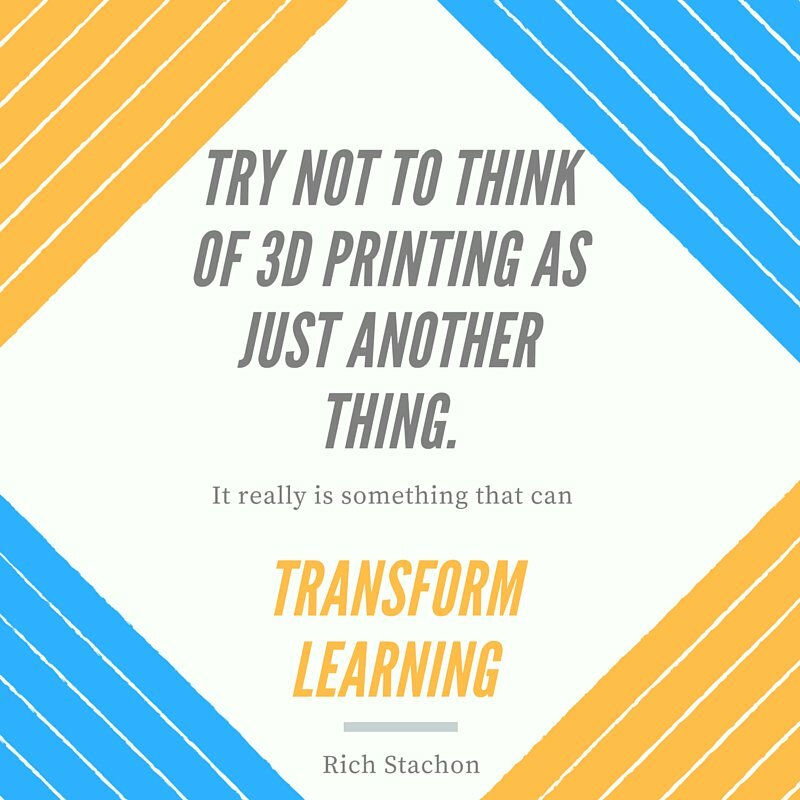 We saw numerous challenges set for for students in making sound stories, creating animals, wiring circuits, and more, and as we challenge our students to create something, we must also, as educators, rise to the call to create those opportunities for them. 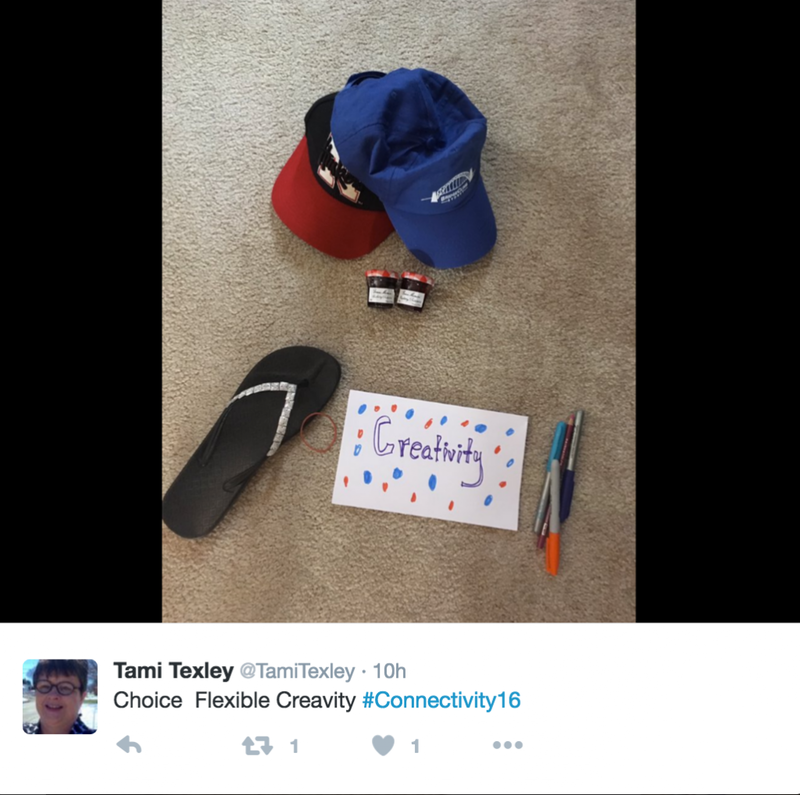 What was your favorite moment of the 2016 Summer Connectivity Conference?